*OVER* CVS Photo - 50% Off!! Wow! Right now, get 50% Off Your Photo Order! 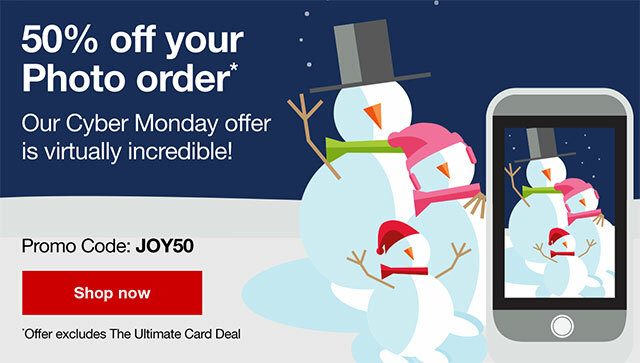 Use Promo Code: JOY50 at online checkout. Plus, select FREE Same Day Pickup to avoid any shipping charges. *See website or store for complete details. "I just did my Christmas cards and got a GREAT deal!! My total bill was under $10 for 20 cards...WOW! And, they look great!"